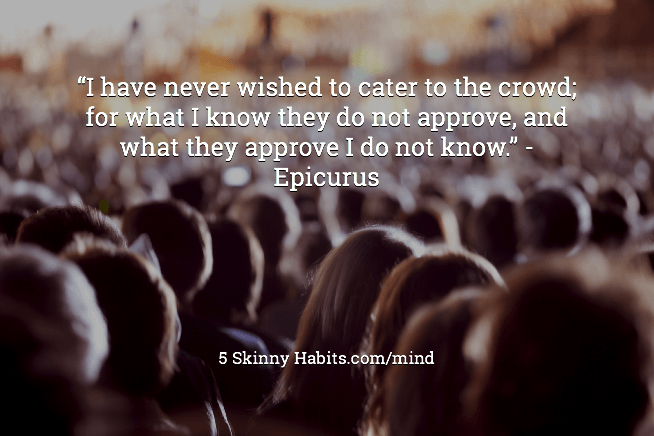 So many times, we do things because we want social approval. It is understandable to be influenced by our surroundings and that is why it is important to choose positive external influences. We all know it but we are often unaware of the extent of its influence. Family, neighbors and friends can even influence our relationship and job choices! This doesn’t mean you should be selfish but only you are aware of your true inner talents and goals. Ultimately, there is only one person who has to live with your life. You!